The Hermès Dogon wallet collection is the most well known and popular among Hermès small goods. 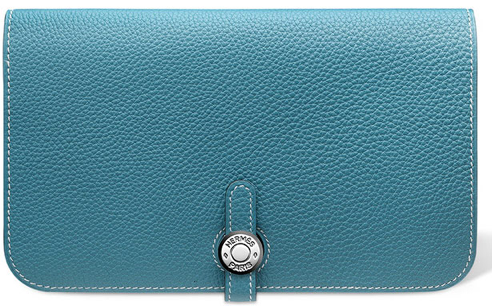 The wallets feature classic "Clou de Selle" metal closure and beautifully crafted leather. 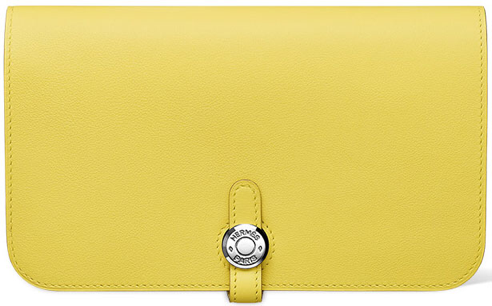 The Hermès Dogon wallet comes in two sizes: the Combined Wallet and Compact Wallet. Each season Hermès presents classic and new vibrant colours for the collection. 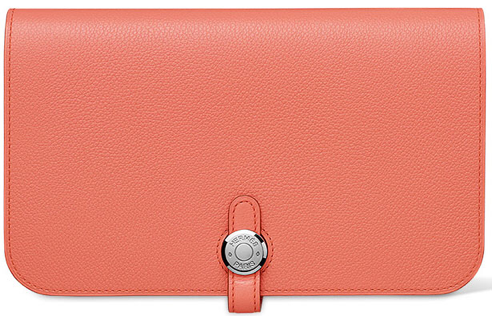 The Hermès Combined wallet features removable zipped change purse, five credit card slots, one billfold compartment and two multi-purpose compartments. 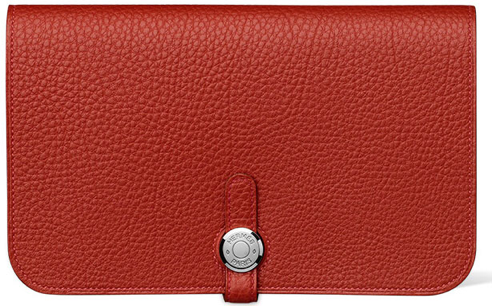 The Hermès Compact wallet features zipped change purse, two credit card slots and two multi-purpose compartments. Hermès Dogon Combined Wallet 12.5 x 20 cm, 3.7" x 5.4"
Hermès Dogon Compact Wallet 9.5 x 13.8 cm, 4.9" x 7.9"